As Nashville continues to grow larger, some developers are thinking - smaller. David Latimer is the CEO &amp; Founder of New Frontier Tiny Homes. 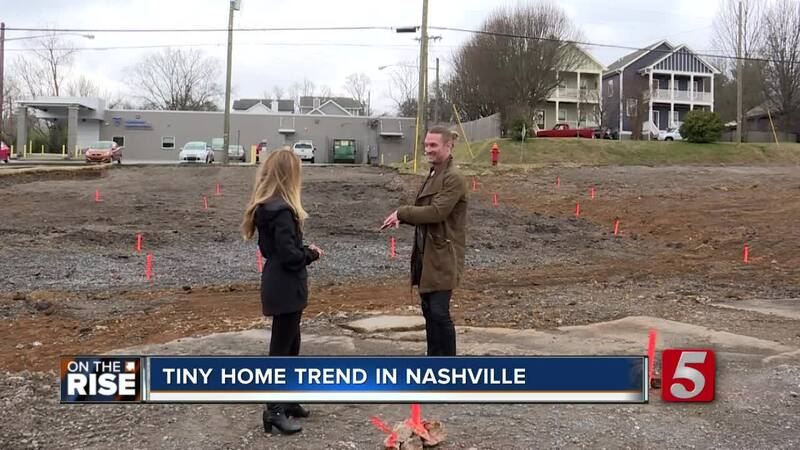 NASHVILLE, Tenn. (WTVF) — As Nashville continues to grow larger, some developers are thinking - smaller. David Latimer is the CEO & Founder of New Frontier Tiny Homes. He's developing a tiny house hotel on Riverside Drive in East Nashville. "There will be without absolute certainty nothing like this in Nashville," he said, "This project is a joint venture between New Frontier Tiny Homes and Paragon Group. They're one of the best quality builders in Nashville," he said. "Sustainability,affordable housing, intentional living. Cultivating a life of experience instead of stuff and status," he said. For more information and to check out all of New Frontier's designs click here .